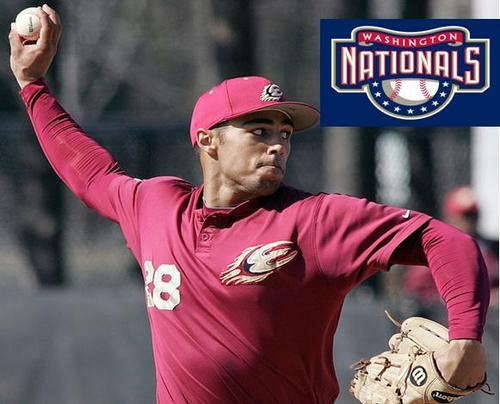 Kenneth Ferrer a RHP out of Elon U has been selected in the 28th round by the Washington Nationals. Kenneth pitched a 1 hitter over 7 innings at the teams first WWBA NE Championships. Kenneth becomes the 7th player in the MLB 2011 Draft to be selected. The total now is now 28 former Baseball U alumni that have been drafted over the past 5 years.